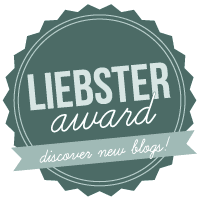 So, Chantelle and I were nominated for Liebster award by Annie of The Runaway Reader. However, as this blog has more than 200 followers, we actually aren't eligible for the award! Still, in acknowledgement of being nominated, we're going to answer Annie's questions anyway. We won't be nominating anyone further though, because we technically don't have the award. So, without further ado: here are the answers to Annie's questions! 1. How do you organize your bookshelf? By color? By genre? By title? C: Well, Nara and I both bought our bookshelves from IKEA (thank you Sweden), so they’re divided into squares which ultimately dictated how I ended up organising my bookshelf. So I’ve got my favourites ‘square’, John Green square (; , dystopian square etc. etc. which is sort of similar to you, Nara? N: Yep. I’ve got mine arranged by genre. So I’ve got a contemporary square, a sci-fi square etc. But two squares are specifically for authors- I have my Richelle Mead square and my Cassandra Clare square. This isn’t necessarily because they’re my favourite authors, but because they have a lot of books/are going to be releasing a lot of books, so I thought I’d give them their own squares. Although right now my CC square has been infiltrated by some Rainbow Rowell haha. C: OMG RAINBOW ROWELL!!! Girl crush alert. N: hahahaha. Anyways, let’s move on to question numero crap what’s the spanish word for two? 2. How has blogging helped you? N: Well, I guess in general, it’s given me a hobby. So I have something semi-productive to do when I’m not studying for uni rather than just youtubing and facebooking and whatnot. Actually come to think of it, it hasn’t really stopped me youtubing and facebooking and has added on twittering and tumblring...IT HASN’T HELPED ME AT ALL IN MY PROCRASTINATION. N: Hey it’s actually open on uni-related work right now! N: Totes man. I’m so studious. 3. Where do you get inspiration for blogging? C: Yeah me neither… we both just sort of turned to each other one day and were like, yep let’s blog! If I may start, I’m just going to say that it started off being because I wanted to share my thoughts about books and I didn’t have enough corporeal friends to rant to (besides Nara of course), but now that I’ve started, I’ve got to admit it’s Nara who keeps me going (naaaawww) because she blogs sooo much more than I do, and has got it all figured out. C: <3 well, it’s true haha how about you? N: I don’t know if I have any particular inspirations for blogging to be quite honest. I mean, I guess I do admire some of the really big blogs, but I wouldn’t necessarily say that they “inspire” me per se. N: LOL are you saying that ARCs inspire me? 4. If you could switch places with any character from a book, who would it be and why? N: One of the really minor characters in the Harry Potter series. That way I get to go to Hogwarts, but I don’t actually have to face Voldemort or whatever. N: Exactly, my friend. What about you? N: Dude Nastya is so messed up. N: I guess you want to swap with her AFTER she gets the guy and stuff. N: Anyway, let’s move on before we start gushing about The Sea of Tranquility again lol THIS CHAT IS GETTING TOO LONG. 5. It's the end of the world! Aaaaaah! Pick three books to save. N: GO GO GO! First three books that come to mind! C: DON’T PRESSURE ME, oh gosh, S%#! C: Wow, Speechless made the cut? That surprises me man. C: hahahhah touche my friend, touche. Okay, can I take my kindle? Or is that cheating? I’d really like to save my kindle. N: A kindle is not a book. So yeah, it’s totally cheating. N: lol I’m totally kidding. That was obviously sarcastic..….right….? C: Was it? .........hahahhaha totally kidding. Three books. The Bronze Horseman, The Night Circus and Alice in Wonderland! DONE! N: Nice one. I’m going to say The House of Hades as my third book. But The Blood of Olympus if we can choose books that haven’t come out yet. Oh my gosh, I think these are the best reponses EVER. I had so much fun reading them - you guys are so cool! I would definitely pick Alice in Wonderland as one of my three books too! It was one of the first books I really, really loved. And Nara, you're so smart! It never occurred to me to be one of the minor characters! Ugh, why didn't I think of that? Love the chat guys, it reminds me of the chat reviews that I did with Rach. This was hilarious...totally wish it was a vlog! Congrats ladies, now go surf the web! Thanks Kimba! We might start doing some vlogs in the holidays later on, but not much time for them these days! haha, you two lolz. ARCs are totally incentives! I love how the both of you do almost everything in chat-form! Whoa. You two are dedicated. I have only one huge shelf, and I arrange my books according to series, but that's it. Even the thought of taking down all my books and reorganizing them into something prettier -- like according to colors -- makes me want to balk. The sad truth. And YES. Susan + Sarah = forever. Haha, foolproof plan, Nara! Don't forget, there's always the risk of getting killed during the battle of Hogwarts. Or getting bitten by Fenrir Greyback. I don't know which one's worse... And all this take about Natsya's past is making me really curious. Too bad I'm not reading TRANQUILITY until December! NOOOOOOOO. Awkward penguin fits a lot better anyway :P I mean, just look at them waddle. If that isn't awkward, I don't know what is haha. DECEMBER?! That's so far away! But it'll definitely be worth the wait :D It's rather amazing. Congratulations on getting nominated! You guys are hilarious, such a great blogging dynamic going on here! Definitely a case of the crazies going around haha. Organising by colour definitely looks really pretty. I half want to do it myself! But on the other hand, I have about 300 books, so it would take way too long/I'm too lazy lol. Haha, you guys are absolutely crazy and funny <3 I really loved reading this chat!